aOarai-Branch　IMR　Tohoku　Univ. bIMR　Tohoku　Univ. cNational　Institute　for　Research　in　Inorganic　Materials. Nucl. Instru. and　Meth. in　Phys. Research. B　166-167(2000)431-439. Facuty. Of　Education、　Shizuoka　Univ. Mater. Research. Dep. Riso　National　Lab. Dep. of　Phys. Queen?s　Univ. Phys. Rev. B　Vol.62、　No.9(2000)5531-5535. Applied. Phys. Chem.、　Faculity. Eng.、　Hiroshima　Univ. aApplied. Phys. Chem.、　Faculty　of　Eng. Hiroshima　Univ. J.Phys. Soc. Jpn. Vol.69、　No7(2000)1978-1981. 1IMR　Tohoku　Univ. 2Dep.of　Phys. Gradute　School　of　Sci. Tohoku　Univ. J.Phys. Soc. Jpn. Vol.69、　No.4(2000)1100-1104.
aIMR　Tohoku　Univ. bOarai-Branch　IMR　Tohoku　Univ. Tohoku　Univ. 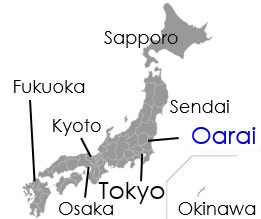 2Oarai-Branch　IMR　Tohoku　Univ. dRes. Institute　for　Applied　Mechanics. Kyushu　Univ. aInterdisciplinary　Graduate　School　of　Eng. Sci. Kyushu　Univ. 1Div.of　Quantum　Energy　Eng. Graduate　School　of　Eng. Hokkaido　Univ. *Dep.of　Applied　Quantum　Phys.and　Nucl. Eng. Kyushu　Univ. bInstitute　of　Advanced　Energy、　Kyoto　Univ. aDep. of　Fusion　Plasma　Research、　JAERI　bIMR　Tohoku　Univ. aIMR　Tohoku　Univ. bDep.of　Mechanical　and　Environmental　Eng. 1National　Institute　for　Fusion　Sci. 2Graduate　school　of　Eng. Tohoku　Univ. aNational　Research　Institute　for　Metals、　bIMR　Tohoku　Univ. 1Institute　of　Advanced　Energy、　Kyoto　Univ. 2IMR　Tohoku　Univ. aIMR　Tohoku　Univ. bOarai　Branch　IMR　Tohoku　Univ. Nucl. Instru. and　Methode　in　Phys. Res. B171(2000)199-203. J.Plasma　Fusion　Res. SERIES、　Vol.3(2000)324-327. J.Plasma　Fusion　Res. SERIES、　Vol.3(2000)265-269. J.Plasma　Fusion　Res. SERIES、　Vol.3(2000)284-287. Radiation　Phys. and　Chem. 58(2000)777-780.